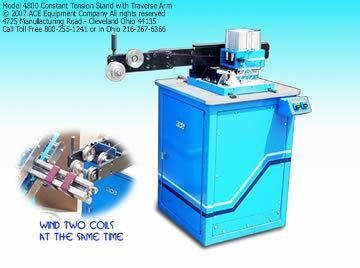 The power driven series 4800 Traverse Stand is designed to automatically traverse single or multiple strands of square, rectangular or round wire. A traversing arm precisely positions the wire on the customer's rotating winding fixture; the operators hands are off the wire. 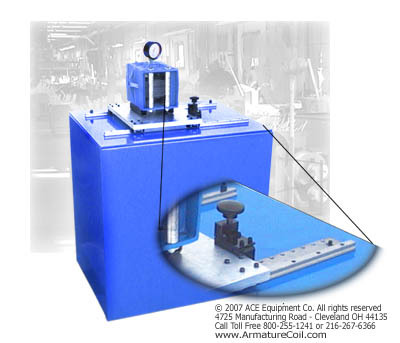 Assembly includes pneumatic tension unit mounted to linear slides to assist operator control. 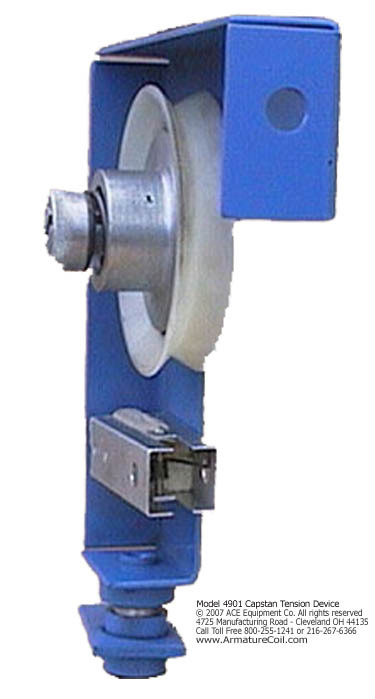 High density plastic tension plates are pneumatically controlled for exact tension without damage to wire enamel or insulation. Tension Controller and Monitor. Continuously displays actual tension in grams during the winding cycle. 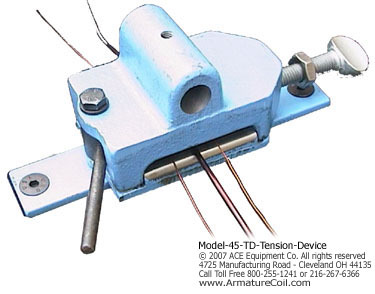 Tension control for round wire. Will handle multiple sizes. Wire is drawn through adjustable nylon plates. 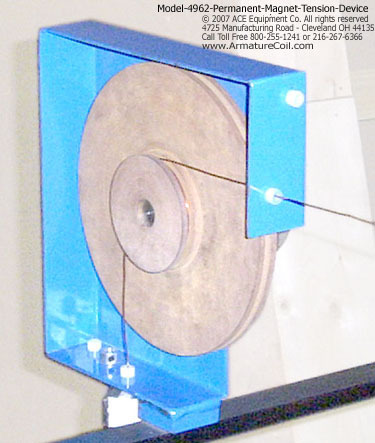 Wire is drawn through 7 fiber plates which are forced against the wire with cam spring action, giving a uniform pressure that will not change after winding a few coils. 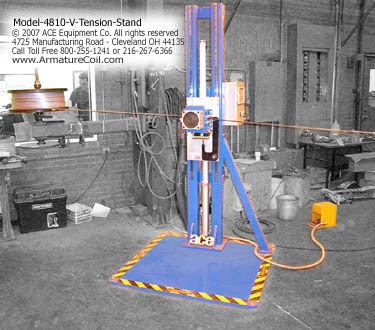 Tension control for round or shaped wire. Will handle multiple sizes. Two steel rollers in front and in the back guide the wire. 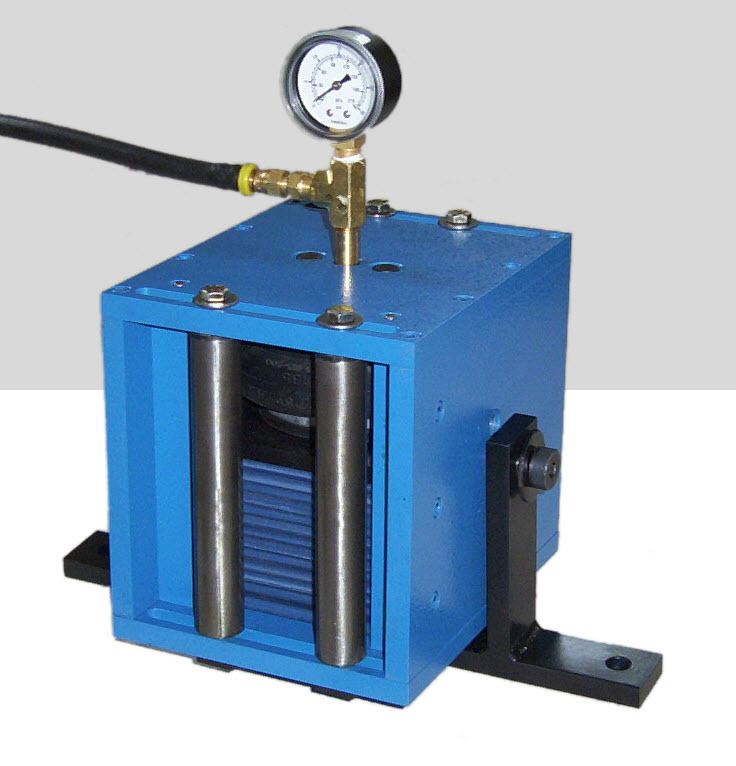 Controlled pressure is applied to the wire as it passes between pressure plates. Will not damage insulation on the wire. 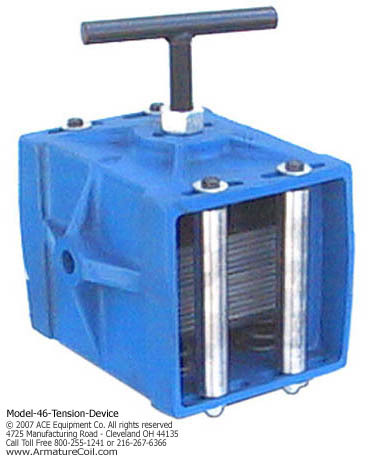 Model 48 offers remote tension via regulated air pressure. 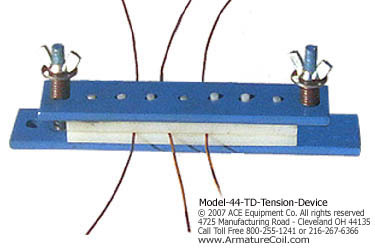 Designed to apply constant tension similar to the 4810-TC820 but built to assist horizontally positioned coils. Ideal for tensioning small wire. 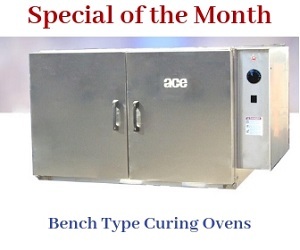 This precision-torque tension device provides constant tension at each adjustable setting. Applies constant tension to single or multiple round wire from 14 to 40 guage.